The daughter of the much-loved illustrator, E H Shepard, Mary Shepard has her own place in the public’s affections as the illustrator of P L Travers’ immortal series of Mary Poppins books. The present set of illustrations shows how, even when working on a speculative project, ‘she inherited her father’s confident line-work and … was meticulous in research’ (Roger T Stern, 2004, page 231). Mary Shepard was born at Red Cottage, Shamley Green, Wonersh, near Godalming, Surrey, on 25 December 1909, the only daughter and younger child of the much loved illustrator, E H Shepard, and his wife, Florence, who was also an artist. She was educated at St Monica’s, a school for girls in Tadworth, near Epsom, Surrey, and then at Villa Ste Monique, a finishing school in the Paris suburb of Auteuil, which had been founded by St Monica’s former French mistress, Mlle Manilève. In the wake of the death of Mary Shepard’s mother in 1927, her father’s sister, Ethel, took over the running of the household, having returned from India, where she had been Head Deaconess of St Hilda’s Society, an organisation for lady teachers working under the diocese of Lahore. In the following year, the family moved into its newly built home, Long Meadow, in Longdown, Guildford. Aunt Ethel must have encouraged Mary Shepard in her artistic abilities, as she accompanied her to her interview with Professor Henry Tonks for a place at the Slade School of Fine Art. Studying there first under Tonks and then under Randolph Schwabe, she won a summer competition prize judged by Sir George Clausen. Soon after she left the Slade at the age of 23, Mary Shepard received an invitation from the Australian-born author, P L Travers, to illustrate her new book, Mary Poppins. 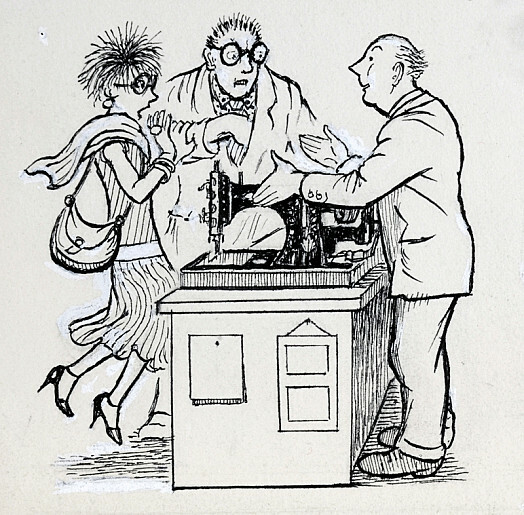 Travers had originally hoped that Mary’s father, E H Shepard, would take on the commission, but he was too busy. She then came across a Christmas card that Mary had drawn and sent to Madge Burnand, the daughter of a former Punch editor and friend to both Travers and Mary’s mother. This appealed to her, in its ‘happy imperfection, innocence without naivete and … a sense of wonder’, and so she asked Madge to introduce her to Mary (quoted in Valerie Lawson, Mary Poppins, She Wrote, New York: Simon & Schuster, 2013 (revised ed), page 163). 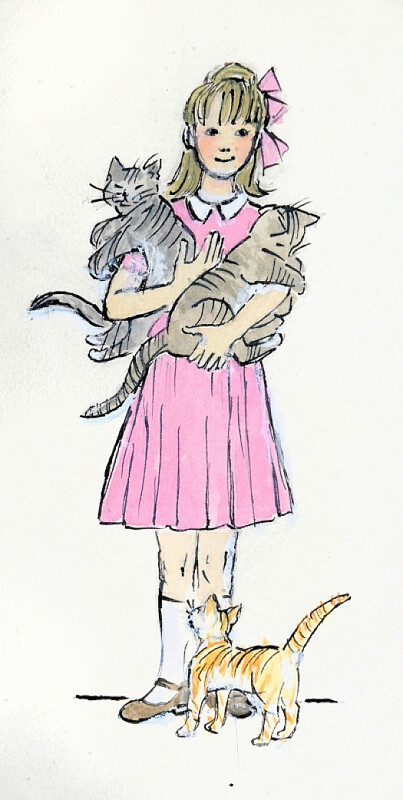 As a result, Mary Shepard became the illustrator of both the first and seven subsequent Mary Poppins books, from 1934 to 1988, learning her craft through her collaboration with Travers. She defined the look of Mary Poppins, for both the books and the 1964 Walt Disney film, and based her characterisation of Mr Banks on her future husband, E V Knox. 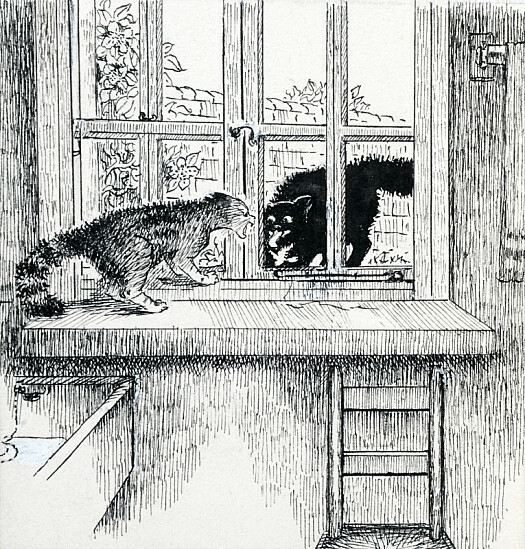 During this early period, she also worked with Arthur Ransome, illustrating Pigeon Post, the sixth in his series, ‘Swallows and Amazons’, in 1936. On 2 October 1937, Mary Shepard married Knox who, as ‘Evoe’, was a poet and satirist, and editor of Punch from 1932 to 1949. Though he was a close family friend, Mary’s father disapproved of the match. It was Knox’s second marriage, his first wife having died in 1935. Mary became the stepmother to two children, a girl, who as Penelope Fitzgerald became a novelist, and a boy, Rawle, who became a journalist. Mary was only seven years older than Penelope and, as they grew older, they would become more like sisters, and look after each other. Until the end of the Second World War, the Knoxes lived in St John’s Wood, Mary serving as an air-raid warden, keeping chickens, and growing vegetables during the war itself (Stern 2004, pages 231-232). In 1948, they moved to Grove Cottage, 110 Frognal, Hampstead, living there happily until Evoe’s death in 1971. Mary then moved into 7a Frognal Mansions, along the road at 97 Frognal. She worshipped at St John-at-Hampstead for as long as she was able, regularly helping to clean it. 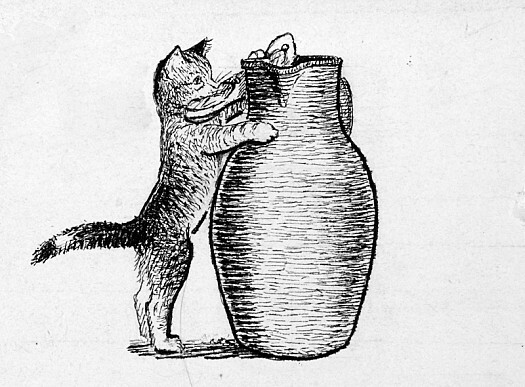 Mary Shepard was a self-deprecating artist, who published few illustrations following her marriage. 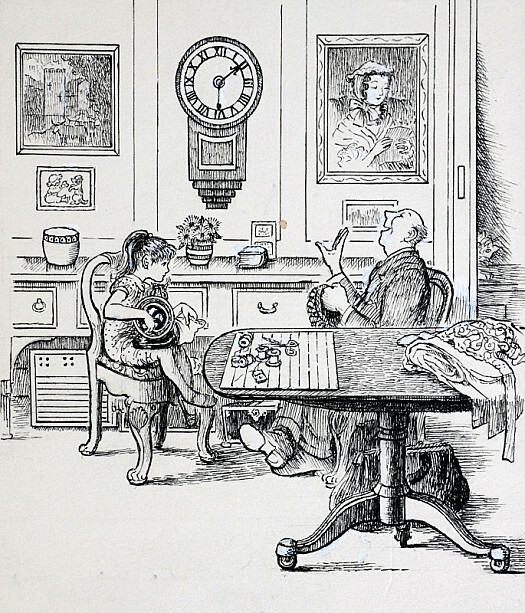 Among her rare publishing projects of this later period – other than the Mary Poppins books – was an edition of two fairy tales by A A Milne, Prince Rabbit and The Princess Who Could Not Laugh (1966). In addition, two exhibitions of her work were mounted, at the Maddox Street Gallery and Hampstead Library. From 1994, Mary Shepard lived at Highgate Nursing Home, 12 Hornsey Lane, Islington. She died there on 4 September 2000 and was buried in the churchyard of St John-at-Hampstead.